If you are still looking for an iOS productivity app to fully replace your journal, post-it notes, paperclips, and scribbled envelopes, you will want to check out Doozy. Doozy combines visual cues, reminders, lists, events, and notes in a neat package, after you get the hang of navigation and functionality. Like many iOS productivity apps including Orchestra and Skedi, there is a learning curve and some set-up for Doozy to make your life less of a doozie. 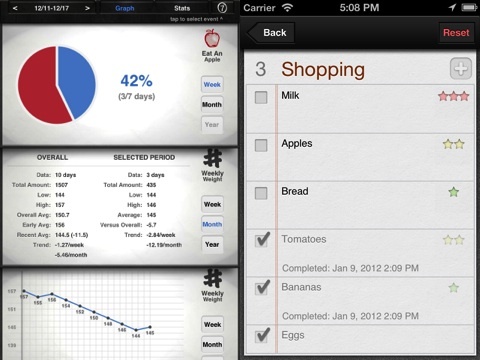 The Doozy iPhone productivity app has a fresh perspective, in that it relies on a matrix interface with visual cues. You can assign an event, task, reminder, project, or even a workout to a specific location on the Doozy iOS app home screen grid. You can visually customize the color of the item, as well as add a photo or graphic. For each event, you can add notes, lists, and reminders, if you need to include more details. One of the coolest features is the reminders option. You can set two reminders to help you attend to details or get to an event on time. When you are busy, one reminder is frequently not enough. And, just in case, you can sync and back-up with Dropbox to stay on top of your Doozy to-dos. The Doozy iPhone app takes a bit of time to explore its vast functionality and capabilities. Since it combines strong visual cues and strays from the standard list view, the interface is not necessarily intuitive. For example, you have to decide specifically where you want an item to reside on the screen. If you do not make that selection, it remains in the Doozy iPhone app as an item that requires attention but is accessed by touching the relevant icon on the screen–event, note, and list. The help menu is excellent and thorough, and the developers are clearly committed to updating the Doozy iPhone app with users suggestions. One feature I would recommend would be the ability to attach a list or note to multiple events. For repeated events, it would be nice to attach the list of things you need to take each time. Instead of mentally rolling through the soccer practice list–water bottle, soccer ball, shin guards, cleats, snack–it’s there for each practice, since you can add recurring events with ease in the Doozy iOS productivity app. For a family, the Doozy iPhone app is a great option. Kids frequently have the same, recurring tasks, but the details are different. You can upload a photo from your iOS camera libraries, so you will know at a glance who has an event. When you touch the photo, you can glean all of the important details like lists, notes, due dates, as well as update with progress reports. You can email the details of the item to anyone in your iPhone contact lists. You can also assign each child to a specific location on the screen, so you know where to look to properly prepare your child. I caught the Doozy iPhone app, when it was on sale for free. The $2.99 price tag is certainly reasonable for the cool features and neat perspective on getting more things done quickly and easily. 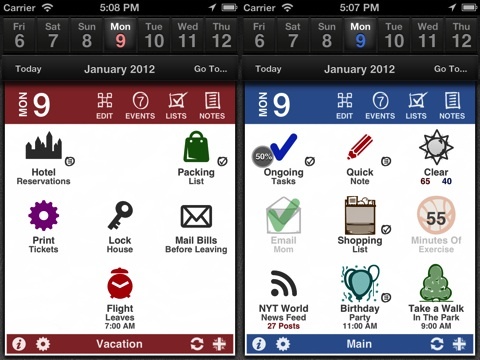 AppSafari review of Doozy (Visual Calendar and Tracker – “Do, See”) was written by Jenni Ward on July 2nd, 2012 and categorized under App Store, Calendar, Productivity, Utilities. Page viewed 4545 times, 1 so far today. Need help on using these apps? Please read the Help Page.